I don’t know about you guys, but I’ve never been more curious about the details surrounding a character that may not be anything more than a company logo. Seriously, ever since Metal Gear Solid creator Hideo Kojima revealed that the face depicted in his new studio’s logo had a secret and a “really cool full body”, I’ve been really excited whenever more news surrounding this mysterious figure comes out. 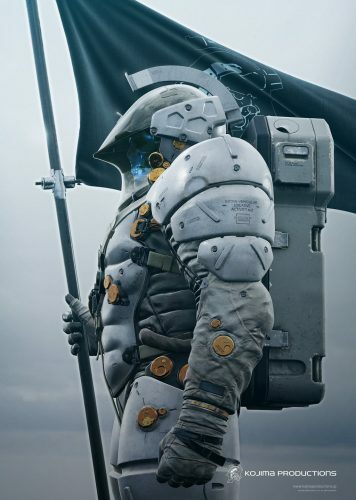 The first little morsel came last month when Kojima straight up revealed the “cool full body” and name of this character: LUDENS. 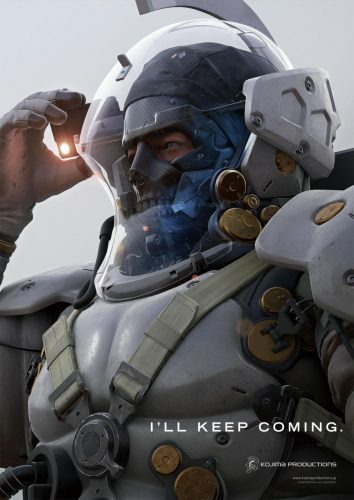 At the time, Kojima Productions producer Ken-ichiro Imaizumi said the image was “not an image of the game which we are working on.” This calls into question if LUDENS is even related to Kojima Productions’ first project at all, or is just the most elaborate mascot reveal in the history of mascots. Kojima being Kojima and the master of the long con, I wouldn’t put that past him. So the plot thickens. To be honest, I’ll be a little disappointed if this guy has nothing to do with a game in development as I really like the design. The medieval knight crossed with sci-fi aesthetic intrigues me. Whatever Kojima has in the pipeline, he’s previously confirmed that it is an action game that will appeal to fans of Uncharted and The Division. Here’s hoping I’ll be raving about it some 18 years later like I have been with the original Metal Gear Solid. Appeal to fans of Tom on Twitter: @tomdheath (what?). Don’t forget to follow @load_screen and like us on Facebook.